The first ever memoir by a Royal Navy nuclear submarine officer, this is the inside story of the men who ensured that 'Mutually Assured Destruction' was maintained at all times during the Cold War. Eric Thompson is a career nuclear submarine officer who served from the first days of the Polaris missile boats until after the end of the Cold War. He joined the Navy in the last days of Empire, made his first sorties in World War II type submarines and ended up as the top engineer in charge of the Navy’s nuclear power plants. Along the way, he helped develop all manner of kit, from guided torpedoes to the Trident ballistic missile system. In this vivid personal account of his submarine operations, he reveals what it was like to literally have your finger on the nuclear button. Behind the lighter moments was a deadly serious game. 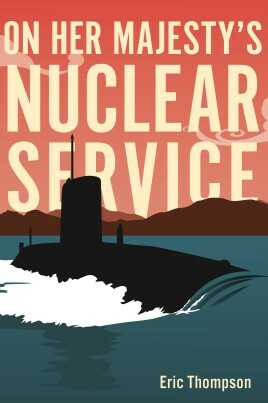 This, the inside story of Britain’s nuclear deterrent, reveals the secretive life of submarines and the men who served on them; they kept their watch, and by maintaining the threat of ‘Mutually Assured Destruction’ helped keep Britain and the world safe. Eric Thompson was born in Scotland during the Second World War. He won a scholarship to Britannia Royal Naval College Dartmouth at sixteen, was streamed as an Engineer Officer, volunteered for submarines and thirty-seven years later retired as Commodore of Britain's principal nuclear submarine base at Faslane. A creature of the Cold War, he served in five submarines, two squadrons, the staff of Submarine HQ and the Ministry of Defence. In addition to being a nuclear propulsion specialist, he took a Masters degree in Acoustics and became a lead officer in the ultra-secret world of underwater warfare and stealth technology. His MBE was awarded for leadership during a submarine emergency on patrol. Presented with humility, humour, and political and technical awareness, this remarkable book provides a succinct insight into the daily reality of maintaining nuclear deterrence.